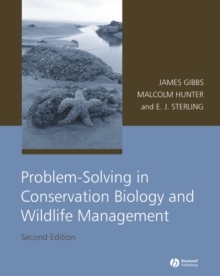 In the new edition of this highly successful book, Malcolm Hunter and new co-author James Gibbs offer a thorough introduction to the fascinating and important field of conservation biology, focusing on what can be done to maintain biodiversity through management of ecosystems and populations. 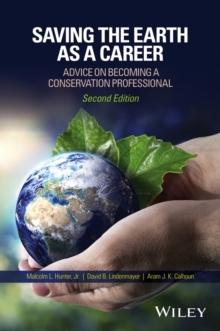 * Starting with a succinct look at conservation and biodiversity, this book progresses to contend with some of the subject's most complex topics, such as mass extinctions, ecosystem degradation, and over exploitation. * Discusses social, political, and economic aspects of conservation biology. 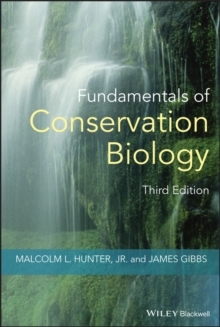 * Thoroughly revised with over six hundred new references and web links to many of the organizations involved in conservation biology, striking photographs and maps. Artwork from the book is available to instructors online at www.blackwellpublishing.com/hunter and by request on CD-ROM.